Looking for a luxurious five-star Outer Banks hotel? They’re here. Or are you more in the mode of one of those classic, old-school Outer Banks motels, some of which have been serving vacationers since the 1950s and ‘60s? You’ll find them from Ocracoke all the way up to Kitty Hawk. Corolla hotels and Duck hotels are far out-numbered by the Outer Banks vacation rental homes in those areas, but the properties that are there are absolutely top notch. The Nags Head hotels (including Outer Banks hotels in Kill Devil Hills and Kitty Hawk) are varied and come in all price ranges. Hatteras hotels reflect the less gentrified, more real personality of Hatteras Island, though in the past couple of years, new and nice Outer Banks hotels have sprung. Made up of national chains, locally owned properties and mom and pop establishments, accommodations on the Outer Banks feature amenities that range from an oceanfront location, indoor or outdoor pools, hot tubs, fish-cleaning station, play and picnic area, internet access or grills. And if Fido just insists on coming with you to the Outer Banks, some accommodations are pet friendly and welcome you and your four-legger. If you want a quieter, quainter experience, there are exceptional Outer Banks bed and breakfast inns in Corolla, Duck, Kitty Hawk, Nags Head and Hatteras. But the bed and breakfasts options found in Manteo Hotels and Ocracoke Hotels are the most varied and well known. Some of the Outer Banks hotels are elegant, some are quirky and fun. All of them will afford you an experience that speaks more to the historic soul of the area. Just like the towns themselves, these hotel options are individual and memorable. 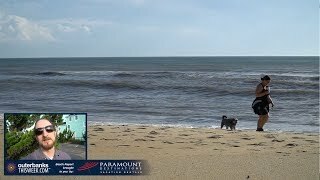 Prefer Outer Banks camping? This area offers full-blown camping mega-resorts. Or, tent and trailer campers looking to get back to nature will enjoy the no-frills National Park Service Outer Banks campgrounds. The oceanfront Cape Hatteras Motel has 37 rooms, including oceanfront and soundside rooms. This locally owned motel offers standard rooms with a microwave, mini-fridge and coffeemaker in the room, and efficiency apartments and townhouses with full kitchens. The one-of-a-kind views of the Cape Hatteras National Seashore are not to be missed, and a swimming pool, hot tub, free WiFi, cable TV and the addition of an office gift shop and art gallery are part of the amenities here. The hands-on, friendly owners pride themselves in offering a welcoming atmosphere and mom-and-pop-style service to all of their guests. This is the perfect place to spend a simple vacation just steps from the beach. Hatteras Cabanas are one-room efficiency accommodations ideal for two people, a small family, a couple of fishing buddies or anyone searching for a stretch of beach and warm blue water. The oceanfront grounds provide picnic tables and grills. Each cabana offers a private deck, AC, cable TV, wireless internet, kitchen facilities and cooking utensils, and queen or double beds. The newest oceanfront Outer Banks hotel, Hilton Garden Inn offers 180 rooms, including suites. Every guestroom has a private balcony, microwave, refrigerator and coffee maker. The hotel has indoor and outdoor pools, a whirlpool and a fitness center. The on-site restaurant, Garden Bar and Grille, serves breakfast, lunch and dinner. Handicapped-accessible rooms are available. Throughout the hotel you can access wireless internet and use remote printing services, and each room is equipped with a large desk and ergonomic chair. Enjoy HBO and on-demand movies and complimentary fishing off the adjacent Kitty Hawk Pier. Pets are not allowed. The hotel has guest laundry facilities. It is open year round.